Join us for our first Greek Wine Tasting at Saloniki Greek (Fenway Location)! Save your seat and sample and learn about 4-6 varieties of Greek Wine from our friends at Cava Spiliadis! Tickets are just $10 per person and includes samples of all the provided Greek Wines, and bites from our Saloniki Greek Menu (including: Zucchini Feta Fritters, Loukaniko, Griddled Pita, and more!) all in our bustling, high-energy dining room space! 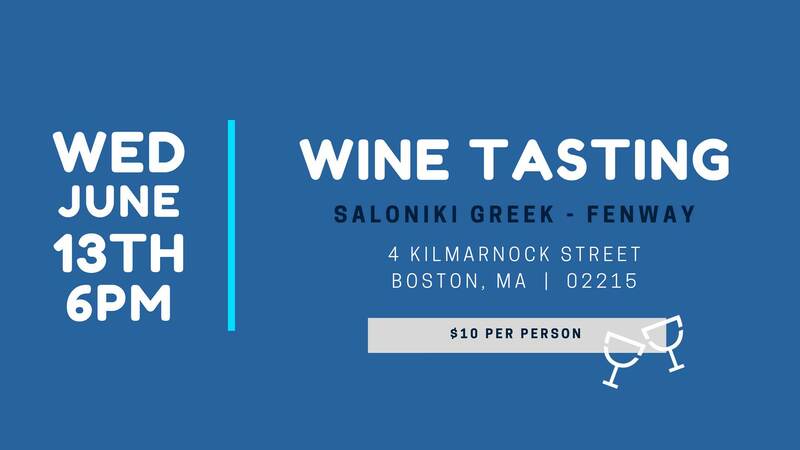 We hope you’ll join us for a fun evening of Greek Wines and bites at Saloniki Greek!